It’s that time of year already. Both Seoul and Busan host their Championship races for this year’s 2-year-old crop this coming weekend with the best performers from each race qualifying to face each other in Seoul next month in the Korean Breeders’ Cup to decide 2014’s Champion Juvenile. The races also impact on next year’s Triple Crown. With the first leg, the KRA Cup Mile, being held in early April, it is vital to get points on the board now in order to qualify. Unbeaten horses look the pick of both events. 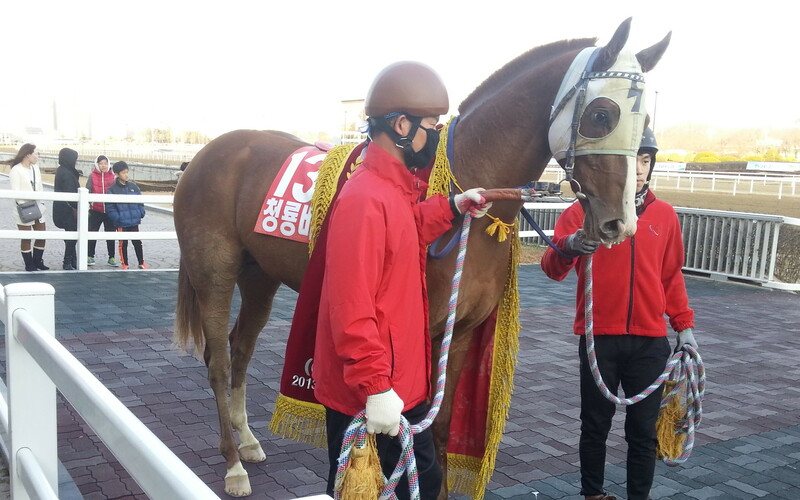 In the Gwacheon Mayor’s Cup at Seoul on Saturday, Raon Rusa is set to be favourite while Doraon Hyeonpyo is the one to beat in the Gyeongnam Sinmun Cup at Busan on Sunday. * There is plenty of other action across the weekend. Aussie trainer Peter Wolsley will be looking to follow-up his Minister’s Cup victory last weekend with another class 1 win when My Winner goes in Friday’s feature at Busan. Also on the south coast, Gamdonguibada takes on Beolmaui Kkum and New York Blue in a class 1 race on Sunday.